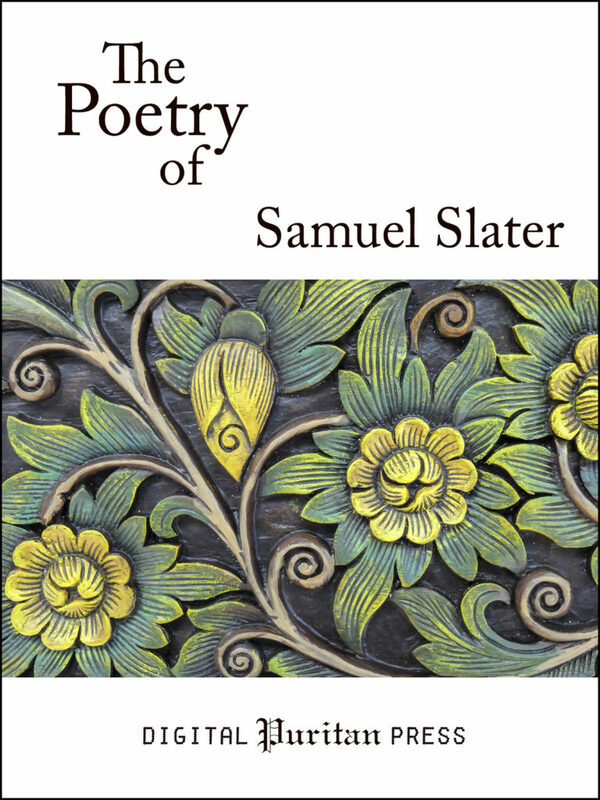 The Poetry of Samuel Slater collects all of the author's verse into one volume. Included is "A Discourse Concerning the Creation, Fall, and Recovery of Man", which is modeled on John Milton's "Paradise Lost", yet in a much more approachable style and length. "A Dialogue Between Faith and a Doubting Soul" was written for the comfort of a troubled woman who frequently came to the author for counsel and reassurance. Also included are an elegy for Oliver Cromwell and several biblical songs put to verse. Even readers unfamiliar with Elizabethan poetry will find these works both engaging and encouraging. They are useful for both devotional reading and academic study. Samuel Slater (c.1629–1704) was a Presbyterian pastor who was deprived of his congregation in Suffolk when the Act of Uniformity was passed in 1662. He later succeeded Stephen Charnock as pastor of the church at Crosby Square, Bishopgate Street, in London, where he ministered faithfully until his death.